Spring is finally here and so is the Macy’s Flower Show 2019! 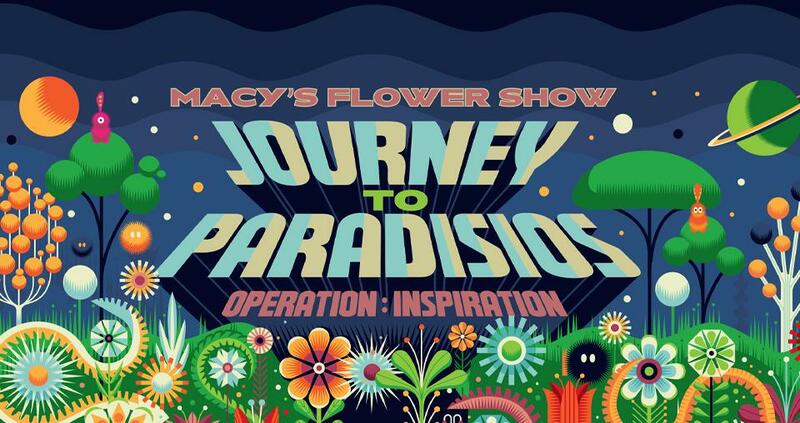 From Sunday, March 24 – April 7, the annual Macy’s flower extravaganza will take place in Macy’s marquee stores in New York, Chicago and San Francisco. Guests can expect multiple Instagram-worthy moments as hundreds of thousands of flowers will be on display. The 2019 Flower Show, Journey to Paradisios, is a space-inspired floral fantasy featuring marvelous celestial blooms. Transporting fans into a multi-dimensional world of space, sci-fi, adventure and discovery through flowers and eccentrically landscaped gardens, Journey to Paradisios is a cosmic wonder. This year’s flower show includes beautiful fashion designed by FIT students inspired by the beautiful blooms. Millions of guests file in from around the world during the two-week exhibition. To celebrate all the fantasy flowers and lush plants, Macy’s stores blossom with themed events, specialty gardens and more. In addition to the beauty, you’ll want to shop while you’re at Macy’s too. The VIP sale is going on right now, which is one of the only times of year where you can save 15% off fragrance and beauty.